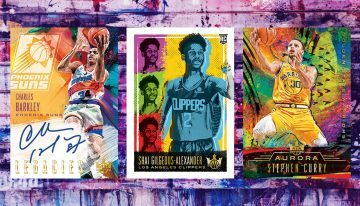 The intersection of art and sports can be a great thing and when it comes together on trading cards, you end up with 2016-17 Panini Court Kings Basketball. 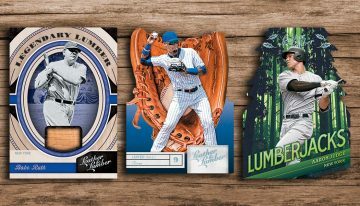 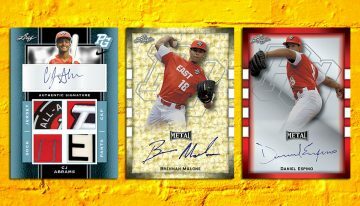 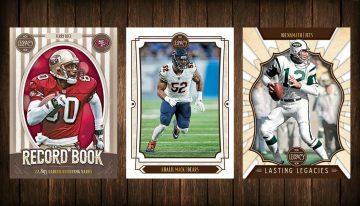 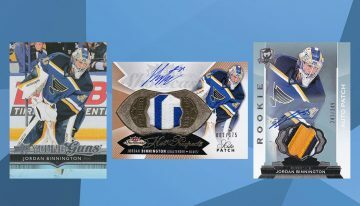 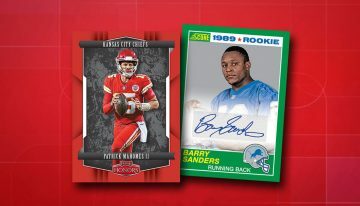 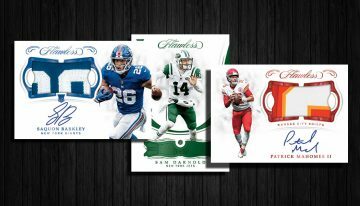 Each box is jam-packed with hits and cuts right to the chase with an autograph and a memorabilia card to go along with a pair of rookies, an insert, and an oversized box topper that is suitable for framing. 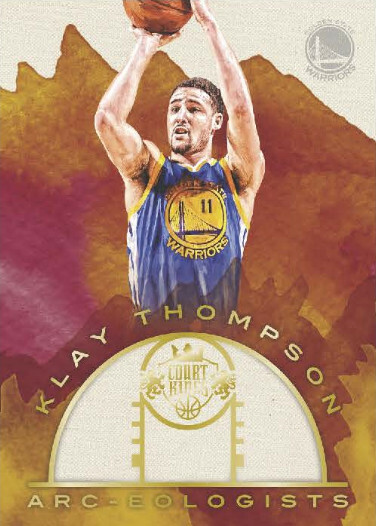 Many of today’s top stars will be part of the 2016-17 Panini Court Kings Basketball base set and there are four of them in each box. 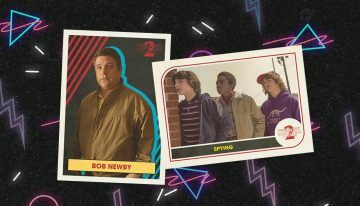 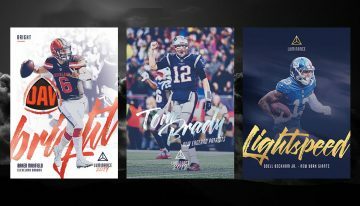 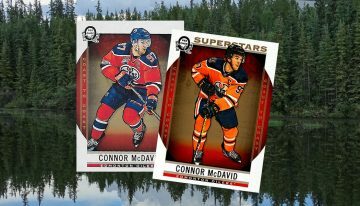 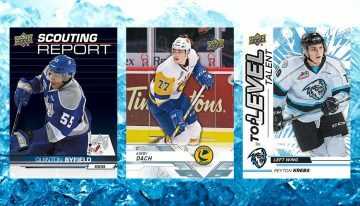 The rookie component of the set is limited to 25 different freshmen, but they will have four different cards each featuring eye-catching designs. 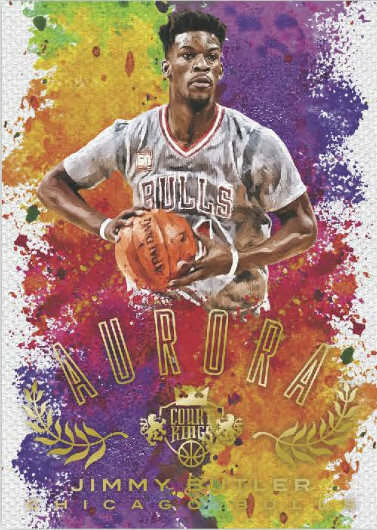 Last year, the Aurora insert set was tough to find and created some buzz and it is back again in 2016-17 Panini Court Kings Basketball. 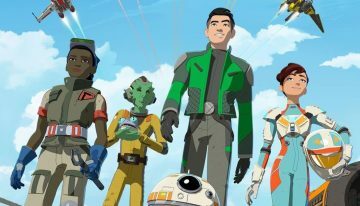 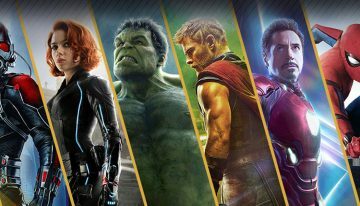 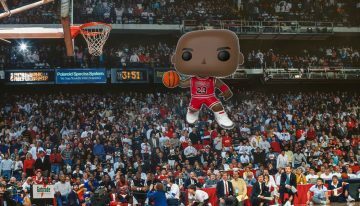 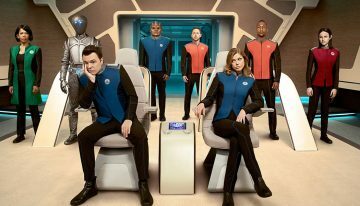 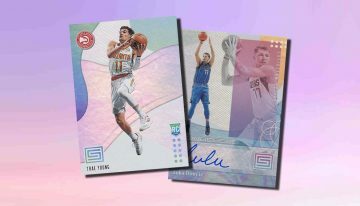 It will be joined by four other collections which include the nickname-themed AKA and Arc-Eologists, which examines the best three-point shooters in the game. 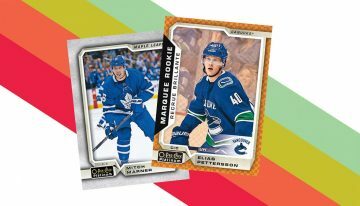 The intriguing Le Cinque Piu Belle inserts return as well. 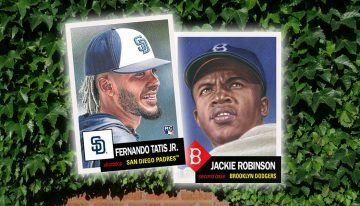 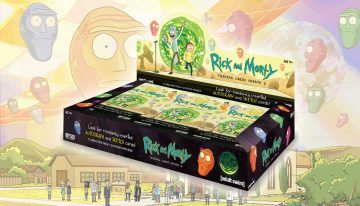 The box toppers have three distinct themes. 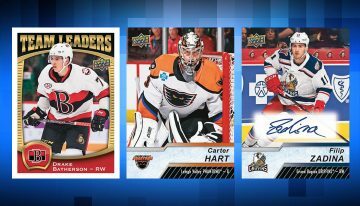 Rookie Royalty takes a look back at a player’s debut season while Panoramics have incredible game photography. 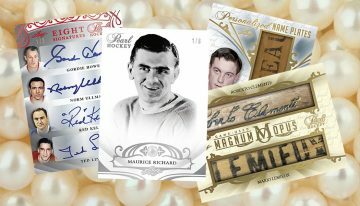 Autographs are drawn from a roster that includes 20 retired greats. 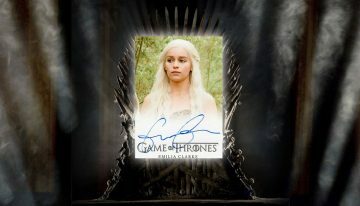 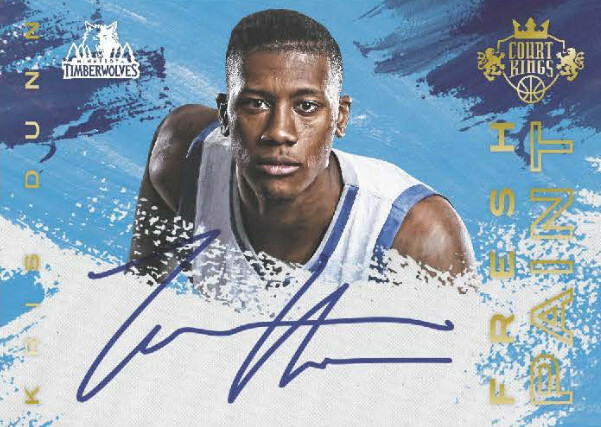 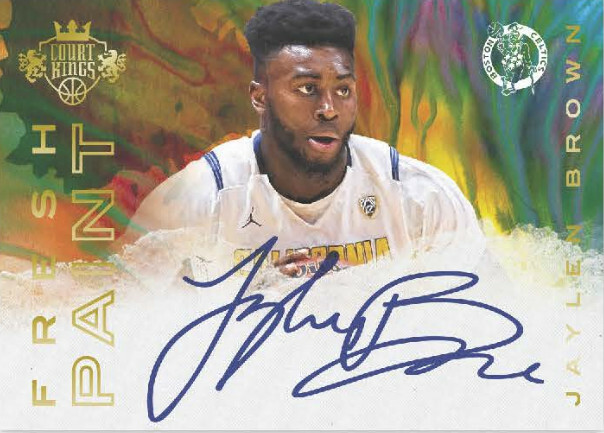 Rookie autographs are at the forefront in 2016-17 Panini Court Kings Basketball and are hard-signed. 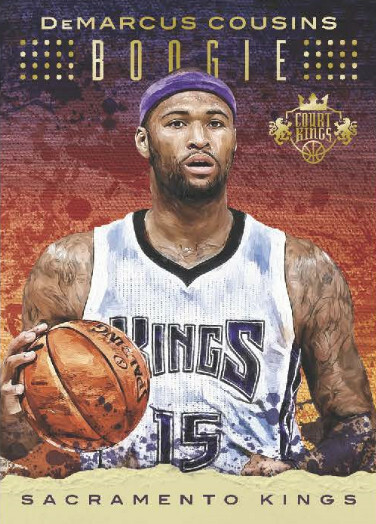 Sets include Heir Apparent and Fresh Print, which the latter having an all-new color variation. 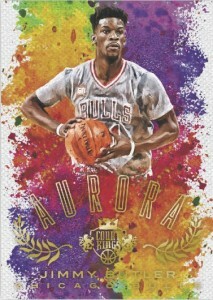 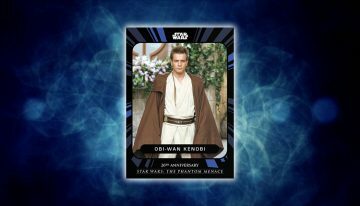 The only memorabilia collection that Panini has announced thus far are The Performance Art Jerseys. 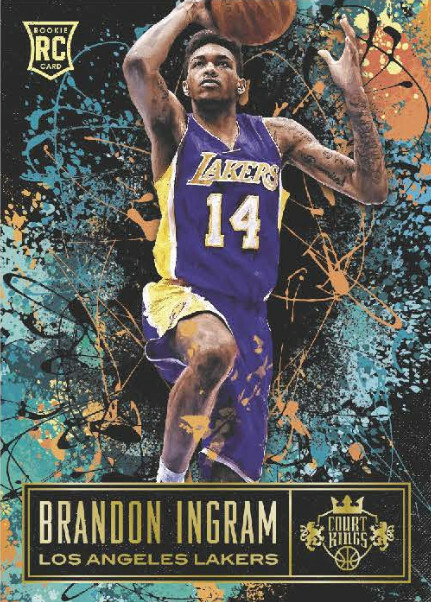 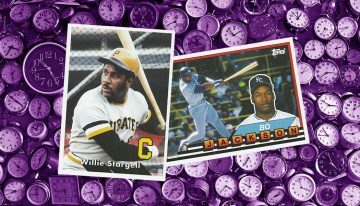 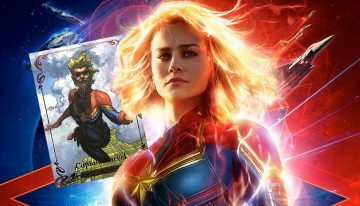 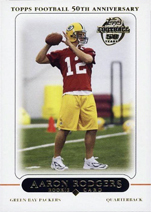 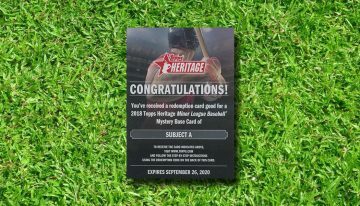 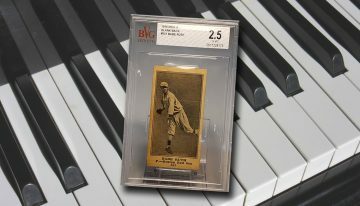 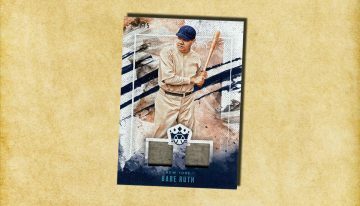 These cards will connect collectors with the game as details and photography on the card reflects the game the jersey swatch was worn in. 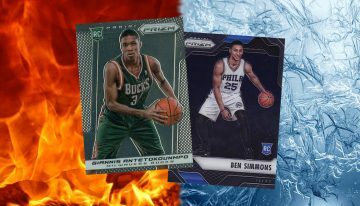 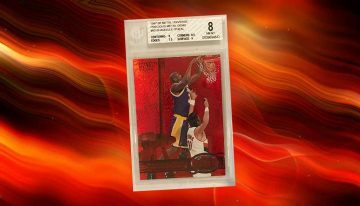 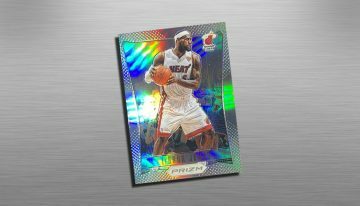 Will there be a next year for NBA cards?